Pivot Cycles is well known for its cutting-edge mountain bikes. Chris Cocalis founded Pivot Cycles in 2007, and since then, the company has led the mountain bike industry with new technologies and designs leading to the modern machines we see today. 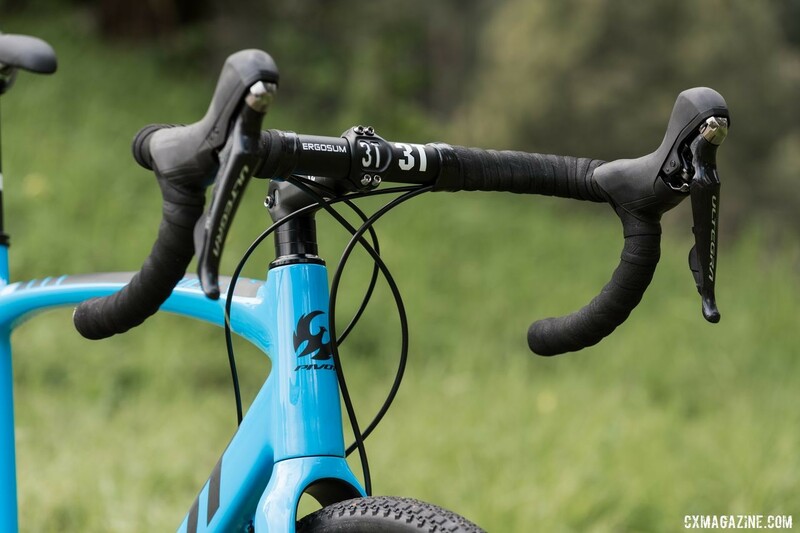 The Vault cyclocross/gravel bike is Pivot’s only drop bar bike, making it a bike that bridges the mountain bike world to the road, whether dirt or pavement. I reviewed the original Vault in 2014. That model had both canti bosses and disc brake mounts, with quick release dropouts. Pivot introduced the present model of the Vault in the 2017 model year. Pivot calls the Vault a cyclocross bike, but the design is equally suited to long-distance gravel and adventure riding. 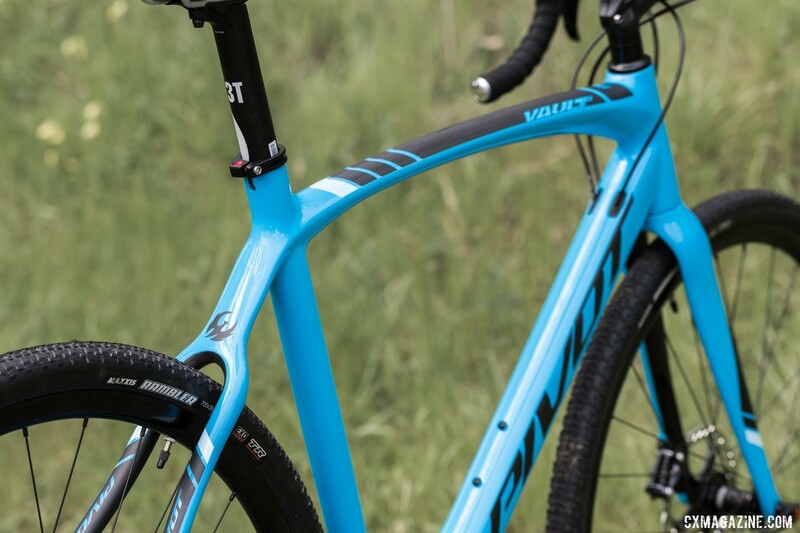 The Vault has been the cyclocross bike of choice of the Pivot Cycles/Maxxis p/b Stan’s/DNA Cycling team that included Courtenay McFadden, Sofia Gomez Villafane and Jamey Driscoll this past season, and we have also seen it as Lance Haidet’s gravel rig. The heart of the Pivot Vault has stayed mostly the same over the years, but the company now offers it with a gravel-oriented build. We take a first look at at the Vault with gravel gearing and plush tubeless gravel tires in this In Review spotlight. The Vault frame is largely unchanged in shape and form since its introduction in 2014, with the notable exception of thru-axles, flat mount brakes and the absence of cantilever bosses. 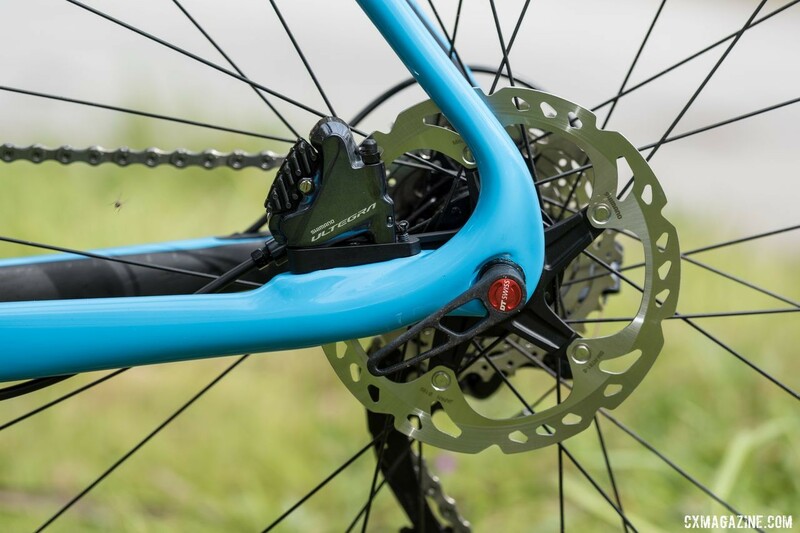 Also, the ability to swap dropouts between 130mm and 135mm quick release widths is long gone, now that the industry has settled on 12x142mm thru-axles. 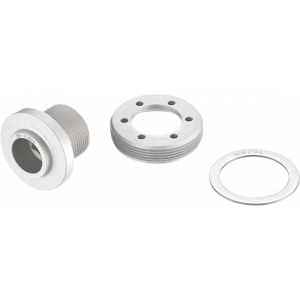 If you know the history of the Vault, in 2014 it, along with FSA, helped introduce the bottom bracket “standard” 386 EVO, a combination of 30mm diameter spindle with a wide bottom bracket space of 86.5mm. Pivot updated the Vault in 2015 to 12x142mm thru-axles with a 15mm thru-axle fork still with post mount for the brake caliper. A later change included a flat mount fork with the 12mm thru-axle and more tire clearance. 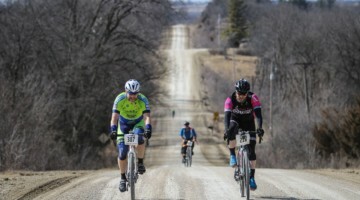 The 2019 update includes gearing and tire and wheel changes to make the bike more versatile for the gravel rides that now fill the cyclocross offseason. The Pivot Vault is a carbon monocoque frame with Pivot’s “Hollow Core” molding technology and size-specific carbon layup. The goal of the design is to provide similar ride qualities from the frame across the four-bike size range. The fork is all carbon with a tapered steerer with internal control line routing to the provision for a flat mount caliper that fits a 140mm rotor minimum. The Vault is 12mm thru-axle front and rear, with the fork able to clear a 48mm tire—that’s a 1.9″ mountain bike tire. The rear limit is a 40mm tire at the chainstays. 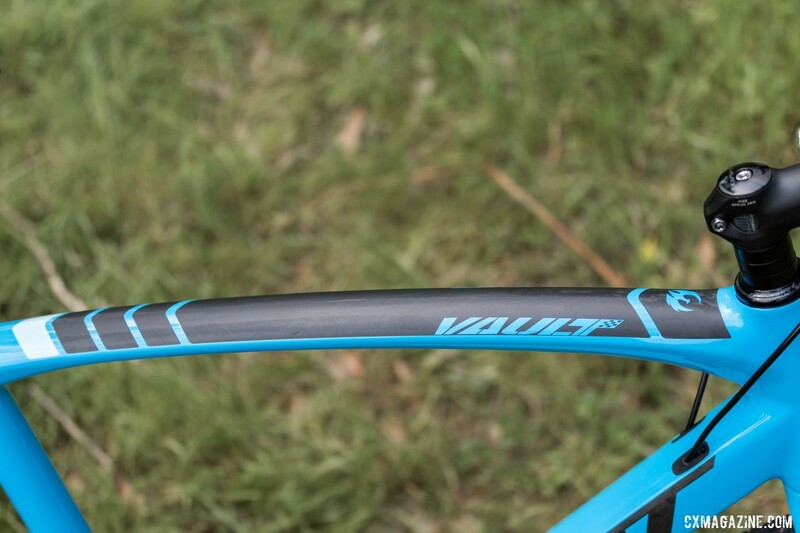 The Vault has a gracefully arcing top tube that blends into the wishbone seatstay arrangement. From the cyclocross point of view, there are two notable features: one is the external rear brake routing, and the second is the small shelf behind the bottom bracket—both a bit dated compared to cyclocross bikes we see today. We still see bikes like the Ibis Cycles Hakka MX come with shelves behind the bottom bracket shell, but it’s a prime spot for mud collection. The Vault’s shelf is quite small, thankfully. The derailleur control lines run internally, whether mechanical or electronic. 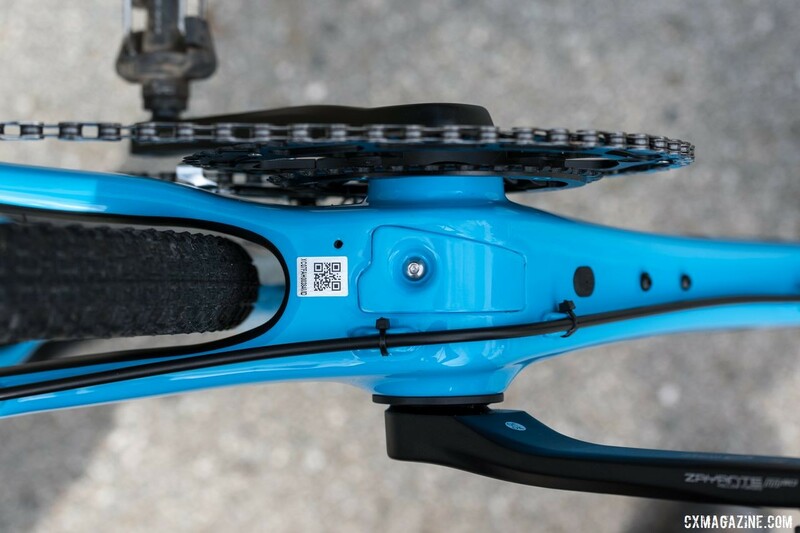 There’s a bolt-on access panel on the underside of the bottom bracket to aid maintenance.  External control lines make maintenance a bit easier, but for a component that remains unchanged, it’s moot. 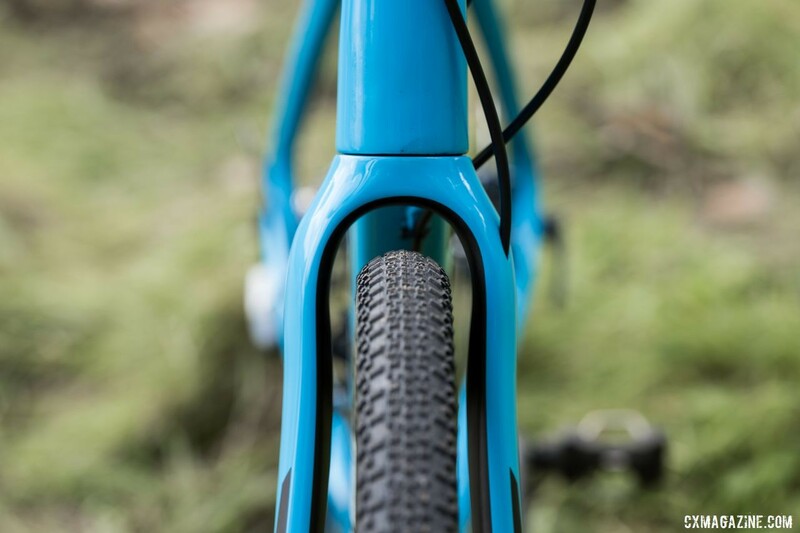 While most may prefer the clean lines of internal routing, I do wish the fork had external brake line routing, as it would allow putting a Lauf fork on for the gravel season, then easily switch back to the rigid fork for cyclocross. That is a minor consideration and perhaps not important to the majority of riders out there. Geometry is relatively standard for modern cyclocross bike: 72-degree head tube angle paired with a 73.5-degree seat angle on our size M review bike. The effective top tube is 55.7cm, which adds up to a 38.3cm reach. The head tube is 155mm, average for a bike of this size. The stack height is 56.9cm. The bottom bracket drop is 6.5cm and with 42.5cm chainstays, the wheelbase is 101.9cm. That’s classic, modern cyclocross race bike geometry. There are two bottle mounts in the expected places of the down tube and seat tube. Pivot skips the third bottle mount, adventure mounts or provisions for fenders, as the Vault is built with racing in mind. The iconic blue paint scheme has masking to reveal the raw carbon as part of the graphics, creating what this tester finds is a very attractive appearance. 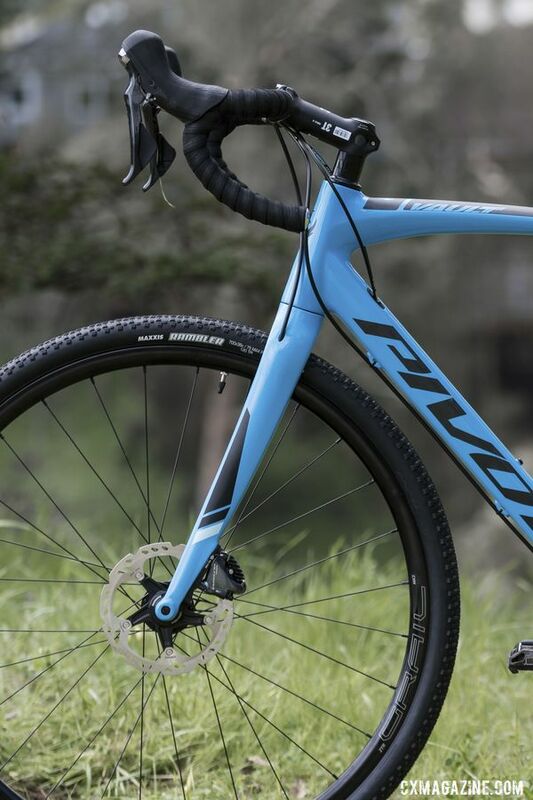 For 2019, the Pivot has an Ultegra R8000 mechanical drivetrain, including the shift/brake levers, front and rear derailleurs and hydraulic brake calipers. Our test bike featured Pivot’s latest gravel-oriented build, with Praxis Works’ Zayante M30 hollow-forged aluminum crankset with “micro compact” 48/32t chain rings. Paired with the Shimano 105 11-32 11-speed cassette, you get a 1-1 gear ratio, yielding a grade-taming 27 gear inches. We’ve found the Maxxis Rambler 40 EXO TR to be extremely light but undersized in previous testing. However, the pair of Ramblers marked 38 EXO TR that came tubeless mounted on the new Stan’s NoTubes Grail MK3 rims that have a 20.3mm internal width measured 39mm and appear to be close to the maximum width that the Vault can take at the rear end, limited by the chainstay spacing. 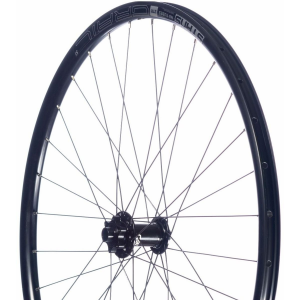 The Grail wheelset has a weight of 1,675 grams. 3T provides the aluminum bar, stem and seatpost, the latter a Stilo 25 Pro with a 2-bolt saddle mount. A Pivot Phoenix branded WTB Volt saddle with chro-moly rails tops the post. The 44cm 3T Ergosum bar has a compact bend with no flare. The build yields the curb weight of 19.2 pounds. It is not built to be a weight weenie’s dream, but instead features a solid choice of reliable components. The frame appears unchanged since I reviewed the bike four years ago, but with a new fork and components, it’s fresh. The racy geometry makes the Vault fun to ride, especially in tight quarters. The frame has a balanced feel combining the nimble handling with a stiff platform for pedaling efficiency. The stiffness translates to definite road feel, and when you’re off-road you feel it. It is more compliant than a few bikes I’ve ridden recently, but still on the stiffer side. 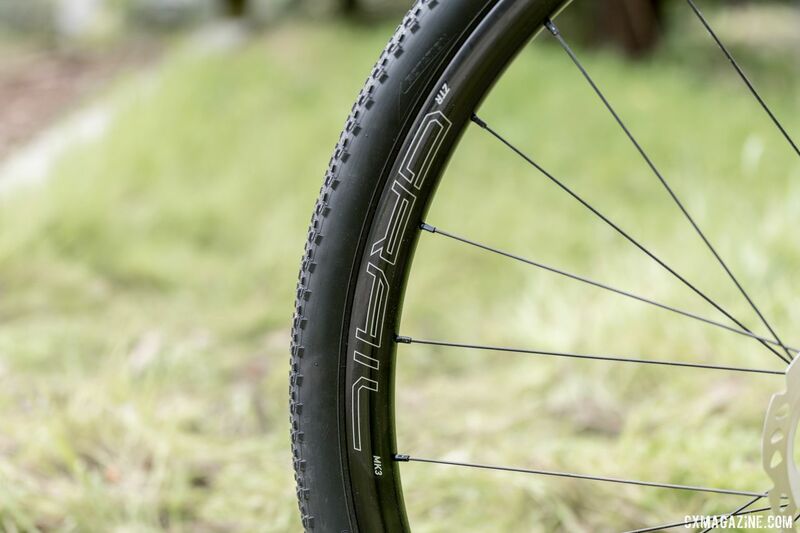 The wide, supple tubeless Maxxis Ramblers are a great addition to the Vault. They add damping and their light suppleness adds to the lively ride. With the new fork you can put a really wide or aggressive front tire to offer some versatility for a long haul or rutted, rocky trail. That is something we will definitely try as we take the Pivot Vault on the long haul. Certainly the new wide gear spread with a new lower gear will add to the versatility and encourages adventure. Pro cyclocrossers Courtenay McFadden, Sofia Gomez Villafane and Jamey Driscoll all had much cyclocross success on the Pivot Vault, but after a few weeks on this current build, the Vault certainly has shown it’s versatile for gravel adventures as well. Stay tuned for our long-term test. 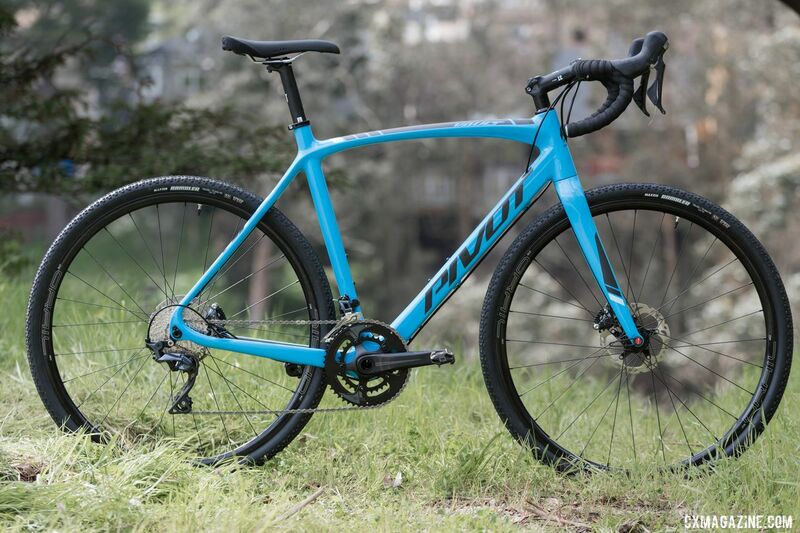 For a closer look at the Pivot Vault cyclocross/gravel bike, see the specs and photo gallery below.